- In the period from January 24 to January 29, 2015, to provide more technical support to cushion Member Services which lead to spread awareness and knowledge and work to improve performance and raise the efficiency of the production process under conditions of heat stress farms the members of the Assembly. - Assembly bear airline tickets, accommodation and living costs have contributed to the transfer. • The program of the US nutrition expert Dr. 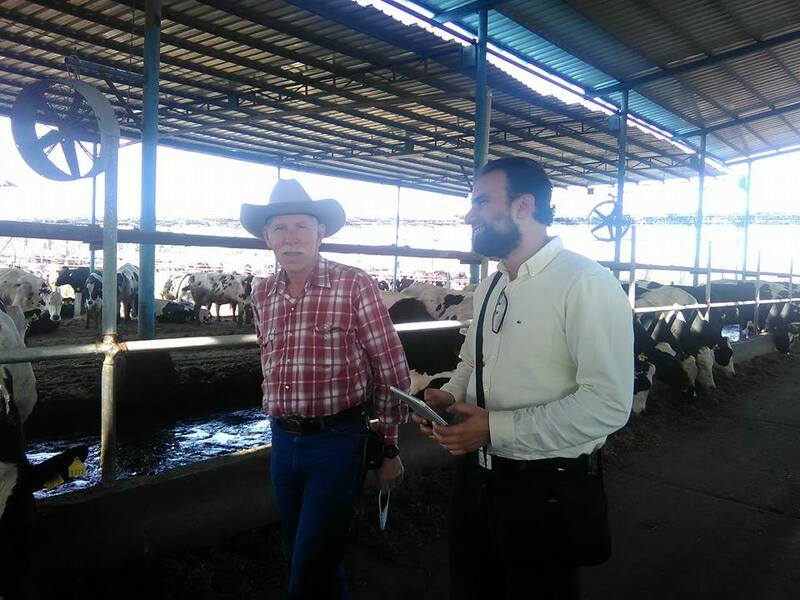 Visits Franck Delfino 7 Number of farms Farms gentlemen members of the Assembly. And this is the most important program of technical support you need to resolve the member farms and on which the US nutrition expert Dr. nutritional problems Services Franck Delfino, as well as larger farms solve the problem of a lack of milk production during the summer months due to the high temperature, which provided shelter and cooling expert Dr. Denis Armstrong showcasing the latest scientific achievements of the solutions to this problem, similar to the farms located in the very warm weather similar to the Egyptian and regions that achieve high production rate, despite the difficulty of the atmosphere and the intensity of the heat.